The Zodwa Khoza Memorial Tournament, celebrating women in soccer, has kicked off. Wits Ladies will be competing in a tournament to celebrate women in sports. 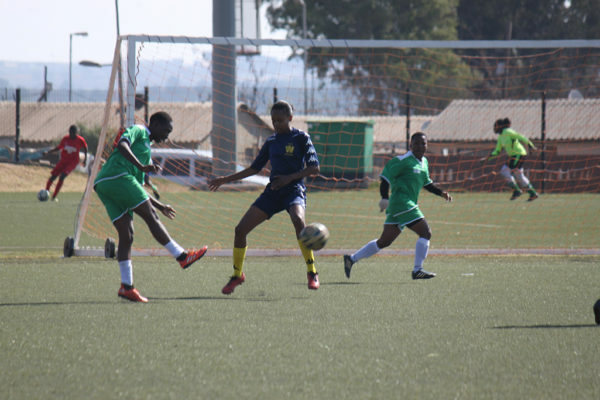 The Zodwa Khoza Memorial Tournament, which features 12 teams including the Wits Ladies, kicked off on Women’s Day. The tournament aims to celebrate the life of former Orlando Pirates Brand Manager, Zodwa Khoza, and encourage participation in ladies’ soccer. Thuntsane told Wits Vuvuzela that the tournament has already been successful in increasing the number of women who play soccer. “We started with only open teams and now we have added other age groups as well. It is the first time we have included under 13s and a grannies’ league this year,” he said. Wits Ladies coach, Nthabeleng Modiko, identified the importance of ladies-only tournaments in showcasing talent within women’s soccer. According to Modiko, women in soccer face many stereotypes. Therefore ladies-only tournaments are an opportunity to show that “we work hard, just as hard as the boys, and we can achieve just as much as the boys are achieving”. According to Thuntsane, “The main purpose is to uplift women’s football. We are giving a platform for ladies to participate in games.” The tournament winners will also receive a soccer kit sponsored by Nike. “It is important to encourage these youngsters to keep playing soccer…If we give them an opportunity to play competitive soccer, then they will be encouraged to go further and maybe represent our country one day,” said Thuntsane.